This private classic itinerary includes the most famous cities and must-see sights of Taiwan: National Palace Museum, Sun Moon Lake, Chihkan Tower, Kenting National Park, East Coast and Taroko National Park. Come and experience the variety of wonders that Taiwan has to offer. The itinerary will take you to the most popular sites around Taipei. You will see the spectacular Yehliu Geopark, the amazing Jiufen old town, the famous Taroko National Park and the peaceful Sun Moon Lake. 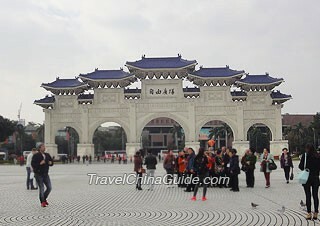 By taking this private tour you will make full use of your precious time to see highlights of Taiwan. Take a journey through the heart of Taiwan including the historical Lukang, the peaceful Sun Moon Lake, the traditional Tainan, the tropical Kenting, the spectacular Taroko, the quaint Jiufen and the modern Taipei. 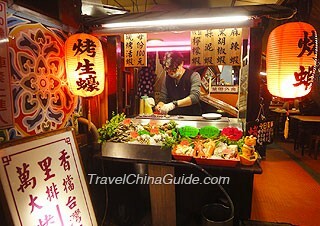 Discovering the sensational cuisine at bustling night markets will make this Taiwan tour package more enjoyable. 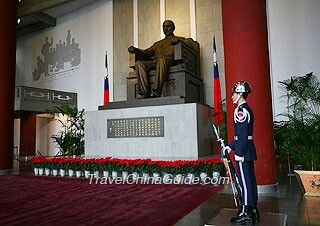 On this private package tour you will see highlights of Taipei. The old Lungshan Temple, the bustling night markets, the stunning National Palace Museum, the well-know Taipei 101 Building and the traditional old streets, all could be found in this tour. July in Taiwan is in the rainy season and it is very hot. And it is during the summer holiday, so the price is higher. If I were you, I will travel to Taiwan in April, May or September. 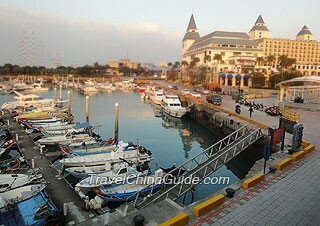 Hi, Can you recommence any places to visit in the east coast of Taiwan? I be visiting in 23-30 December with family. Plan to travel from Yilan to kenting - tainan - taoyuan. Hi, the main cities in the east coast of Taiwan are Kenting, Taitung, Hualien, Taroko, Yilan, Jiufen. You can visit the Kenting National Park, Ngoluanpi Park in Kenting, Taroko National Park, Tunnel of Nine Turns in Hualien. The sceneries along the coast are also very beautiful and enjoyable. Hi, Me and my fiancee will be heading to Taiwan from 26 April 2016 to 2 May 2016 to the above places. Will our trip be affected by the weather? If we plan to fly a Tian Deng Kong Ming Lantern, which is a better day to do it? Your visit is during the rainy season. Although your visit will not be affected by the weather, you should find a clear day to fly the Kong Ming lantern. Hi me and my wife will be going to Taiwan in late April to celebrate our 35yrs wedding anniversary. This is our first trip there. Can someone please give me some advise how can i make full use of my 10days. 1. How is the weather in late April? 2. What are the attraction we must visit and not to miss. 3. Where to stay during our visit. 4. It's 10 day enough?